Selecting the best nursing school in Alabama can be difficult. To make the process easier first look for a school that supports students towards licensure and beyond. A great way to measure this is through NCLEX-RN "pass rates." 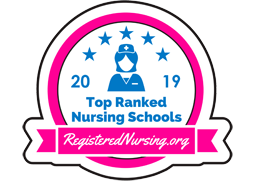 We have ranked the top 10 nursing schools in Alabama by analyzing current and historical NCLEX-RN "pass rates", meaning the percentage of graduates who pass the exam, out of the 40 RN programs in the state. Programs reviewed include schools that offer an Associate in Nursing (ADN/ASN), BSN, or Direct-Entry MSN Degree. Striving to promote quality nursing care by providing degree programs and professional development, the state of Alabama ensures the skill set of nurses and future nurses and through this, quality care for patients. 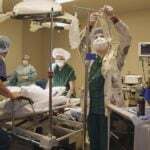 RN jobs are trending upward with forecasts predicting a 19% increase in positions between now and 2022. Approximately 45% of nurses possess a bachelor's degree in nursing, which shows that those candidates looking for a competitive professional advantage should look at equivalent or greater degree programs in order to maximize job opportunities in their desired areas of interest and specialty. RNs with an Associate's Degree in nursing have taken the first steps toward lifelong professional development and a satisfying career serving others. With looming health care shortages throughout the nation, stepping forward into a rewarding nursing career means facing the shortages that plague many states, including Alabama. To combat this, Alabama has more than 20 community colleges and private institutions that offer programs that prepare nursing students for NCLEX licensure. In recent years, there have been steps to legitimize nursing programs through the nationwide evaluation system of ADN programs, called the Accreditation Commission for Education in Nursing (ACEN). As part of their best practices and continual improvement plan, Alabama has a state regulatory agency for educational institutions known as the Alabama Commission on Higher Education that helps students ascertain which schools and institutions are accredited and which may require further investigation. Since this license is what allows nurses to use the title 'Registered Nurse' it is very important to ensure that the Alabama Board of Nursing supports your school of choice for ADN programming. Calhoun Community College is home to an accredited ADN program. CCC is located in Tanner, Alabama - part of state and federal initiatives to make ADN training accessible to all students in the face of looming healthcare shortages. Individual community colleges and private institutions have a variety of criteria by which they measure and accept applicants, and sometimes this changes on an annual basis! However, while institutions do vary, most ADN programs have the following requirements of their applicants. Due to program size, location and a variety of other factors, tuition can vary from college to college. As a sample school, Shelton State Community College's 2-year ADN program has complete costs of just under $13,000 for a two-year ADN program. Program costs include mandatory program items such as NCLEX review materials, nursing instruments, and appropriate footwear for clinical placement. With a shortage of licensed RNs throughout the state of Alabama, government and postsecondary initiatives ensure that those who want to start their career in nursing can do so in a relatively short span of time. 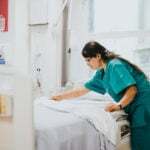 With the potential for course flexibility and clinical placement in area hospitals and doctor's offices, successful graduates are already well accustomed to the types of working environment and patients they may encounter on the job. Many registered nurses start out as Licensed Practical Nurses (LPNs). For an LPN to transition into a registered nursing role, they must attend a specialized LPN to RN program. These programs apply previous nursing coursework, making them much shorter in duration than traditional RN programs. The shortest pathway for practical nurses is the LPN to ADN program pathway. This program culminates in an associate's degree in nursing in just a few consecutive semesters. Herzing University in Birmingham, for example, offers an LPN to ADN pathway which requires roughly 48 credits to complete. With a little more time, students can earn a bachelor's degree in nursing via an LPN to BSN program. While there are currently no on-campus LPN to BSN programs in Alabama, some national online programs do exist. Throughout the state, more than 15 universities have the Alabama State Board of Nursing's seal of approval to offer a Bachelor of Science in Nursing program. With a timeline that is approximately 4 years in length, there is additional opportunity to specialize in a particular aspect of nursing, and additional time for clinical placement and gathering relevant nursing experience. There is often information specifically created for freshmen students who have recently graduated from high-school which will be significantly different from those students who are entering the RN to BSN accelerated track. Located in Birmingham, Alabama, Samford University's BSN program is accredited by both the Commission on Collegiate Nursing Education (CCNE), which ensures the quality of BSN, MSN, and nurse-resident programs throughout the country, and the Council on Accreditation (COA) which underwrites the quality of Nurse Anesthesia programs throughout the U.S.
BSN programs throughout Alabama are a standard 4 years in length. With online classes, distance education, and summer sessions, BSN undergraduates can complete a full BSN degree in a little over 2 years. RNs who are upgrading from ADN qualifications will have a 2-year stint of schooling to earn their BSN; accelerated options may be available. Depending on the schooling environment, length of time you are at school and whether or not you choose to accelerate, BSN tuition costs may vary considerably. For example, the BSN program at the University of Southern Alabama is estimated at about $8,000 per year over 4 years for in-state residents. 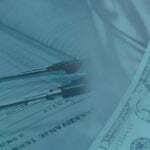 Expenses for nursing students including scrubs, shoes, nursing equipment and NCLEX materials are extra costs that students should research carefully. Compared to shorter programs, BSN programs throughout Alabama show clear advantage over the lifetime professional earnings compared between ADN and BSN graduates. 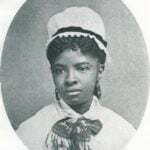 With a BSN degree, there tends to be additional career advancement opportunities for the nurse in question, as part of the role description involves knowing more information regarding the patient condition, as well as have leadership and advocacy abilities that work well with medical teams, patient-family interactions, and community health advocacy. Those RNs who wish to become advanced practice registered nurses are encouraged to pursue their Master of Science in Nursing (MSN) degree. Earning a Master of Science in Nursing consists of graduate-level coursework and clinical practice for those nurses who wish to pursue teaching or leadership roles, or become involved in policy, state-wide health initiatives or community engagement. There are also several clinical avenues that an RN with MSN can pursue such as nursing specialist and nurse practitioner. At this time, there are only a couple of in-stateuniversities that offer a CCNE-accredited MSN nursing program. After completion of a baccalaureate in nursing (undergraduate degree), the graduate portion of study can take an additional three to five years, depending on the level of experience the candidate has as well as the career path they wish to pursue like like a Pediatric Primary Care Nurse Practitioner, a Nurse Anesthetist, or a Women's Health Nurse Practitioner. Tuition costs for MSN programs vary between Alabama's few universities that offer the advanced degree. For example, at the University of Alabama at Birmingham, courses are approximately $2000 for each, or $510 per credit hour plus fees. Depending on the number of courses in the program and the career pathway, there may be 10 - 15 courses that candidates wish to take, leading to program costs upward of $20,000. 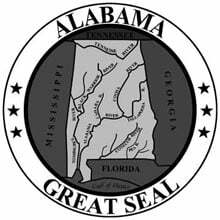 Alabama has clear regulatory requirements for becoming an RN - most importantly the successful completion of a State Board-approved nursing program and passing the NCLEX-RN exam. Proof of US citizenship or equivalent and the ability to work in the U.S. Many nurses see the value in accelerating their education after they take their first few steps into the nursing profession. With this in mind, and given how demand for nurses is increasing, the state of Alabama offers a few accelerated programs to help nurses transition from RN to BSN, and from BSN to MSN. Eligibility and cost depend on whether the program bridges to BSN degree or is in fact a graduate level program where costs are higher. The average program time frame to attain a BSN is 12 months at the accelerated rate, or as much as 3 years' part time at the MSN level. Spring Hill College's Division of Nursing in Mobile, Alabama is proud to offer a premiere curriculum for RN students. Faculty play an important role in creating nursing graduates who are prepared to meet the demands of patient care. Get all the program details by visiting the Spring Hill College website. Bay Minette's Coastal Alabama Community College offers an excellent ADN program that boasts a 91% completion rate and a staggering 100% first-time NCLEX-RN pass rate. The program curriculum is centered around safety, teamwork, evidence-based practice, and more. Follow the link to learn more about the Coastal Alabama Community College - Bay Minette nursing program. Troy University is a welcoming home for nursing school students. With a rigorous curriculum and welcoming faculty, the university's widely renowned program is a leader in RN education. Visit the Troy University nursing website to learn more. With a mission statement that 'Knowledge will change your world', faculty at the University of Alabama at Birmingham are committed to excellence in teaching the nursing profession. A premiere school in Alabama, graduates are highly sought after. Check out the official University of Alabama at Birmingham nursing program. University of Alabama is the proud home of the prestigious Capstone College of Nursing. Located in beautiful Tuscaloosa, Capstone's faculty is committed to mentorship and flexible options to accommodate new students, transfers, and students wishing to upgrade their skills. Visit the University of Alabama nursing website to learn more. The Monroeville campus of Coastal Alabama Community College offers an associate's degree pathway for aspiring RNs. Throughout the program, students are immersed in courses which emphasize patient-centered care to meet the healthcare needs of the community. Get all the program details by visiting the Coastal Alabama Community College - Monroeville website. The University of Mobile serves students with a selection of quality baccalaureate nursing programs. Aside from the traditional BSN, the University of Mobile also offers an accelerated BSN program for students who have at least 60 credit hours of college under their belts. Follow the link to learn more about the University of Mobile nursing program. Located in Alabama, Birmingham's Lawson State Community College is home to one of the state's most prestigious nursing programs. Lawson's Department of Nursing teaching staff welcome pre-service nurses who will make a difference in patient care. Visit the Lawson State Community College nursing website to learn more. With both BSN and MSN programs at Auburn University, the School of Nursing (AUSON) faculty is committed to improving the standards of patient care through education. The city of Auburn is a great place to practice and grow as a nursing student! Check out the official Auburn University nursing program. Wallace State Community College Selma is home to an acclaimed nursing program that regularly produces men and women committed to evidence-based patient care. Selma, Alabama is an enthusiastic community in the heart of the state. Visit the Wallace State Commuity College - Selma nursing website to learn more.